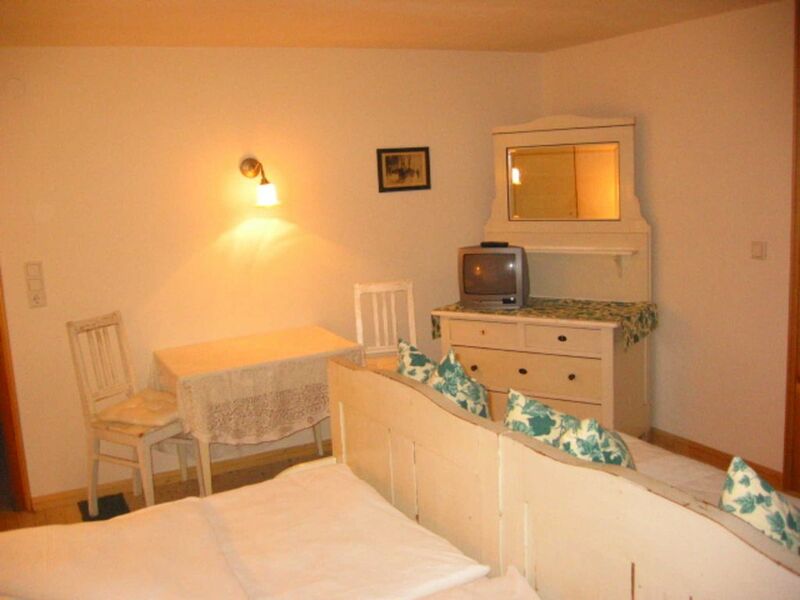 Our rooms are equipped with the solid wood furniture of our grandparents. Wooden floor and TV. Since our more than 120 years old house in most areas newly renovated, the furniture of our grandmothers were dedusted again ...... was created with great attention to detail a home in country house style. So we say with pride - here you can feel comfortable. All rooms are equipped with shower / WC, wooden floors, color TV. The breakfast in our "Stuben" offers a lot, what your heart desires. Let yourself be surprised!In the inn you come - as if you were in our living room and our kitchen ranges from savory Tyrolean fare to light dishes with a Mediterranean touch. The Waldhäusl - in the new dress - is located directly on the edge of the forest. For sports enthusiasts a true hit. The ski lift in sight, the cross-country trail next to the house, the toboggan run - illuminated at night - directly behind the house. (Tobogganing is available for our guests free of charge.) Illuminated winter hiking trails in a snowy landscape invite you to a romantic night walk. We give free Trapperschuhe. You see, there are no limits to your activities. The children build snowmen in the garden - get a carrot from the kitchen - you can watch from the deck chair - wrapped in warm blankets. Holidays just!